After months of wooing Emmanuel Macron, Liberal leader Guy Verhofstadt saw his dream of an alliance with the French president's En Marche party become reality this weekend. But it wasn't quite what he originally had in mind. Astrid Panosyan, one of the founders of En Marche, formally made the offer of an alliance on Friday (9 November) at the party congress of the Alliance of Liberals and Democrats for Europe (Alde) in Madrid. 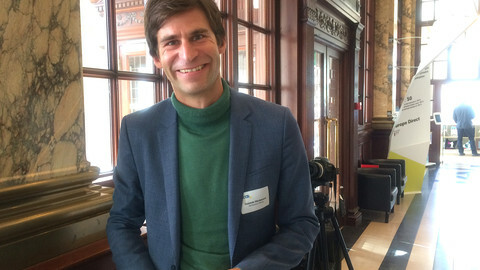 It will see En Marche and Alde campaign together on a common platform in the run-up to the European election. But En March will not join Alde - leaving options open until after the election. Panosyan sought to reassure the Liberals that the intention is to join them in a group after the election. "Make no mistake, Alde is the core with whom En Marche wants to build this coalition," she said. 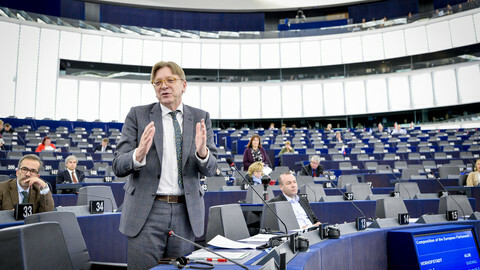 However her speech suggested that the current Alde would only form the core of a new larger group yet to be created. Macron has been trying to build a broad tent for a new group which also would take like-minded parties that are currently in the centre-left S&D and Green groups, and maybe even parties currently in the centre-right EPP. 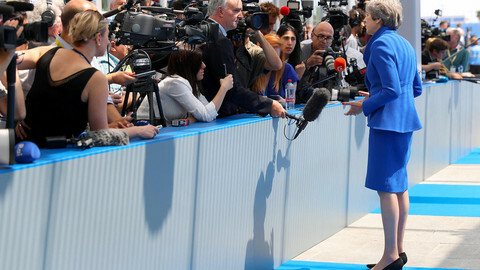 While there was generally enthusiasm at the congress for the union with En Marche – Panosyan received a standing ovation – there was also apprehension over Macron's 'big tent' strategy. Some fear that if the ideological spectrum within the group is too wide, it will dilute the group's message and leave it standing for nothing. There is still lingering scepticism about Verhofstadt's expansion plans after his disastrous decision to invite Italy's Five Star Movement to join the group last year. That move was resoundingly rejected by Alde members, and Verhofstadt now admits it was a mistake. But it left an impression with many Liberals that Verhofstadt is seeking to enlarge the party at any cost, trying to overtake S&D to become the second-largest group in the parliament in the next term. Albert Rivera, the leader of Spain's Ciudadanos party, urged delegates to support the broadening of the group to form a progressive alliance against the populists and nationalists, even if it means making some ideological compromises. "I am willing to compromise," he said. "I am willing to build bridges, not walls". 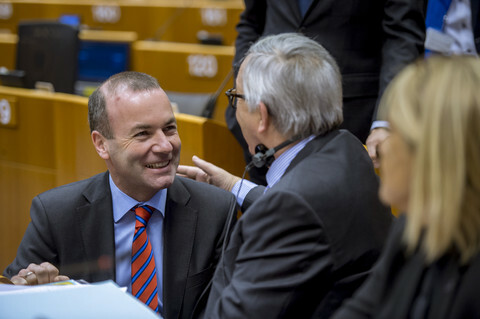 The Liberals declined to put forward a lead candidate (Spitzenkandidat) for European Commission president at their congress, despite the fact that the EPP and S&D groups have selected their candidates – Manfred Weber and Frans Timmermans – at their party congresses this month. Despite having embraced the Spitzenkandidat process at the last European election in 2014, Alde is opposing the process this time around. 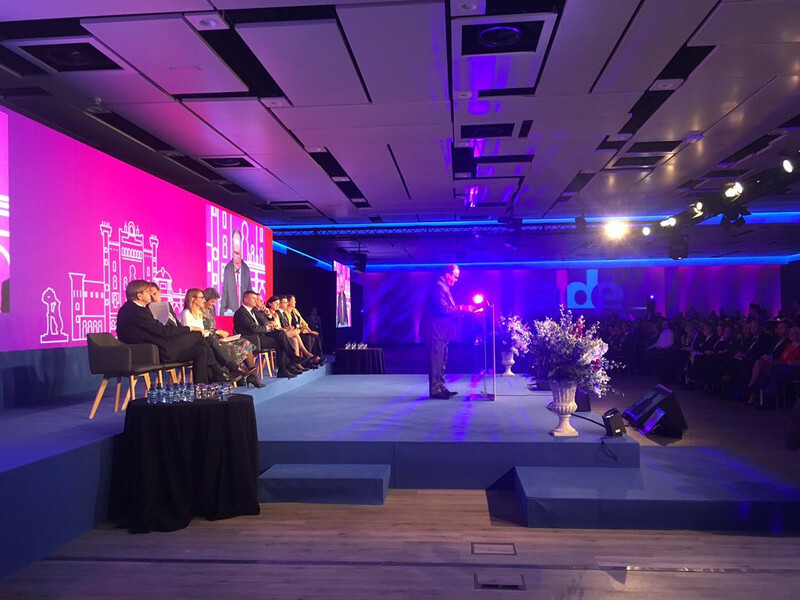 There was a general feeling at the Congress that the system has been designed to favour the EPP group, because it almost certainly will win the most seats in next year's election. Emmanuel Macron has come out strongly against the process, saying that the choice of commission president should remain in the hands of member state leaders in the European Council. A nomination coming from the council is more likely to result in a Liberal commission president because - including Macron - there are an equal number of ALDE and EPP leaders in the Council. However, Alde will reluctantly participate in the Spitzenkandidat process by putting forward a team of candidates – most likely five. According to Alde sources, this team is certain to include Guy Verhofstadt, but the rest of its composition is still uncertain. Possible names include Danish competition commissioner Margrethe Vestager and Czech justice commissioner Vera Jourova. However, neither women put themselves forward at the congress. Alde will decide who will be on the list in February. However the details of how this list will work remain murky. Following her impressive performance at the congress, some were suggesting that En Marche's Panosyan could be on the list. However this may be unlikely given she has until now had only a behind-the-scenes role and has never held elected office. 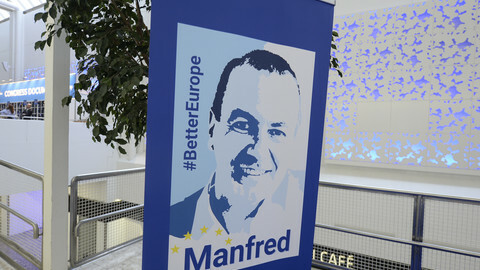 Alde also adopted its manifesto for the 2019 election on Saturday, with the support of En Marche. Liberal MEPs want to form an anti-nationalist "movement" with French leader Emmanuel Macron to contest the far right in next year's EU election. 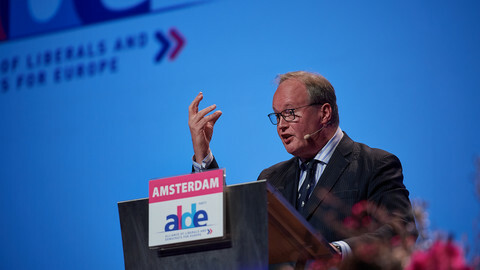 The French president "will be part of our family", Alde president Van Baalen said at the party congress. 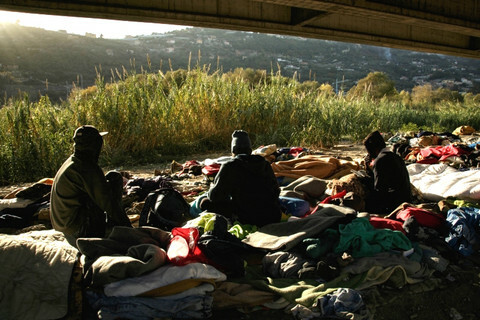 But some leaders, like Dutch PM Mark Rutte, seem to be less enthusiastic. 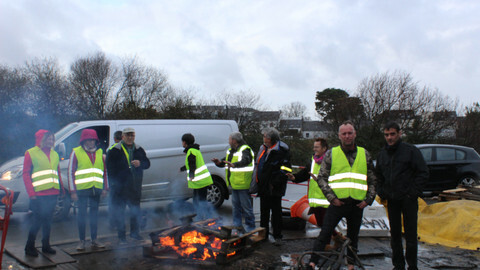 The 'Yellow Vests' protests have the potential to change the game in the French European Parliament elections, bringing new issues onto the agenda. But the greatest threat, potentially, is to the populist parties on the edges of the political spectrum.